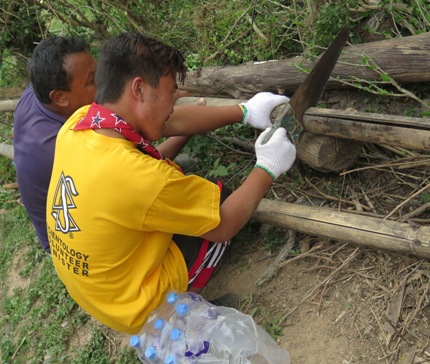 Scientology Volunteer Minister-trained Scouts prove themselves to be a vital asset in Nepal’s recovery. 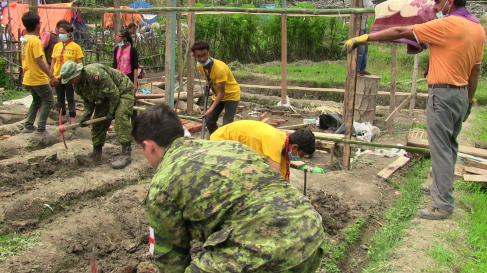 A school football field has been reincarnated as a tent city in its post-earthquake life, thanks to the help of a team of hundreds of volunteers including members of the Canadian Army and Volunteer Minister-trained Nepalese Scouts. 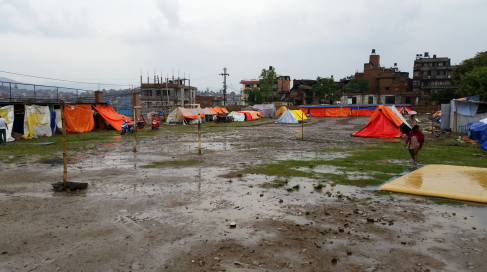 Most of the 35,000 residents of the Kathmandu suburb lost their hillside homes, which collapsed or were damaged beyond repair by the first of the earthquakes and aftershocks to besiege the region since April 25. As the center point of the city, the school was a logical place to build, and hundreds of families are living in there, under the care of the school. The Scouts and Volunteer Ministers have worked in Nepal as partners since 2008 when the Scientology Volunteer Ministers Goodwill Tour introduced several Scout Leaders to the program in 2008; many of the scouts were already trained in disaster relief before this tragedy hit their country. 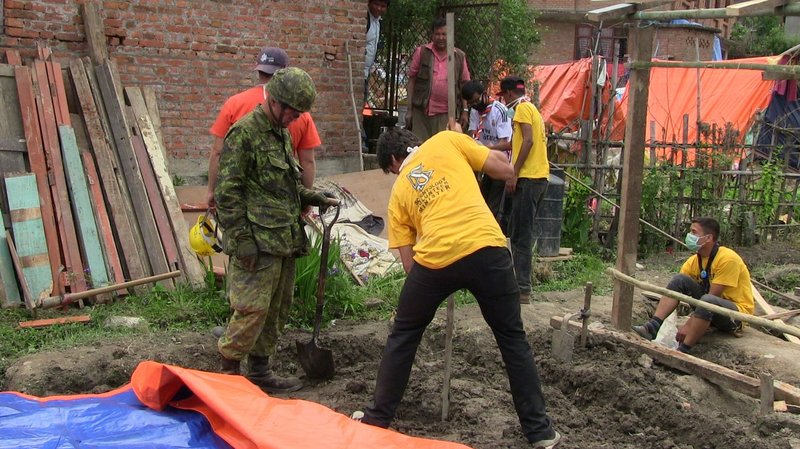 Hundreds of Nepalese Boy Scouts, wearing their Boy Scout scarves around the necks of their distinctive yellow Volunteer Ministers T-shirts, have proven to be a tremendous asset to the recovery effort in their country beginning within hours of the earthquake when one of the Scout Leaders drafted a team of them to clear the roads of rubble so emergency teams could get through to locate survivors. Whether serving in their communities or on the other side of the world, the motto of the Scientology Volunteer Minister is “Something can be done about it.” The program, created in the mid 1970s by L. Ron Hubbard and sponsored by the Church of Scientology International as a religious social service, constitutes one of the world’s largest and most visible international independent relief forces. A global network of Volunteer Ministers mobilizes in times of manmade and natural disasters, answering the call wherever needed. 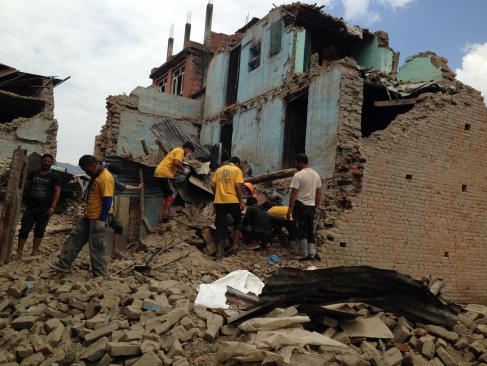 Collaborating with some 1,000 organizations and agencies, they have utilized their skill and experience in providing physical support and spiritual aid at hundreds of disaster sites. In this suburb of Kathmandu, nearly all the buildings were destroyed by the original temblor. The school’s football field is being transformed into a tent city, with families living under the care of the school. Working with the Canadian Army, Volunteer Minister-trained Scouts are setting up tents in a Kathmandu suburb where most of the building have been destroyed. Nepalese, who lost everything they owned in the earthquakes and aftershocks, trust the Scientology Volunteer Ministers to help them find their possessions in the rubble. Cutting tent poles for the construction of temporary housing for those left homeless in a Kathmandu suburb destroyed in the April 25 earthquake. Honoring their Boy Scouts code “to help other people at all times,” these hard-working Scientology Volunteer Ministers are Nepalese Scouts. They are constructing temporary housing for those who lost their homes. Train as a Scientology Volunteer Minister! © 2010 Church of Scientology International. All Rights Reserved.